Reels. After finding the perfect rod for your type of fishing, you need something else, you need a proper reel to help you catch all those fish! 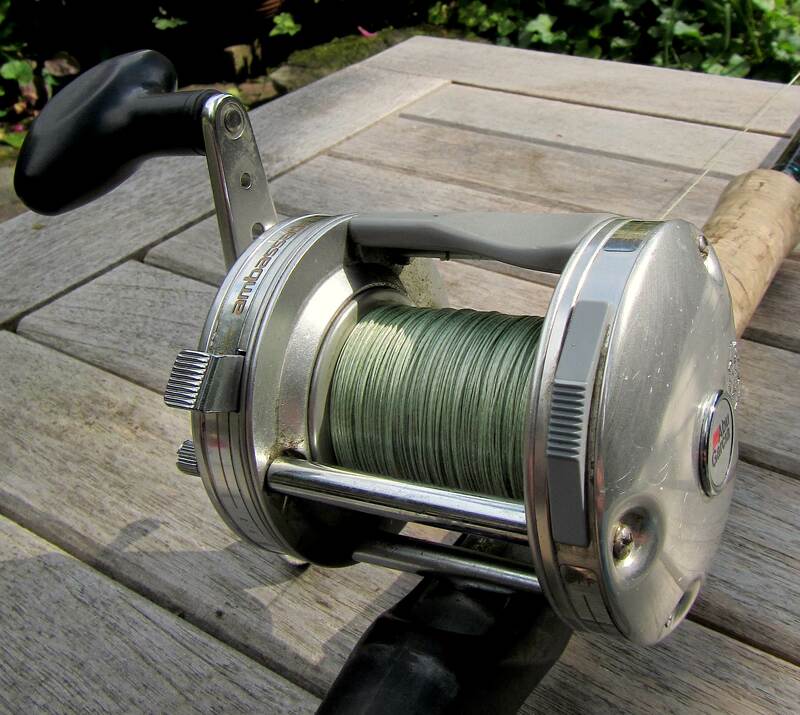 Fortunately there are loads, and loads of different types of reels on the market available. But what’s really suitable for Esox fishing? And what brand should you choose, or even better, what kind of specifications do you need to catch the fish of your dreams? Again, just as I already mentioned writing about rods in the article above, there are many different brands to choose from. Over the years I came to the conclusion that only a couple of reel brands fit in for my fishing. To make things short I use Abu Garcia reels, and Shimano spinning reels. Why Abu Garcia? As their company’s slogan already tells you ”Abu for life”. And indeed it is. Once you are ”hooked” onto an Abu reel, you don’t want anything else. As said before, I need quality for my type of fishing, and I find that quality in their products. 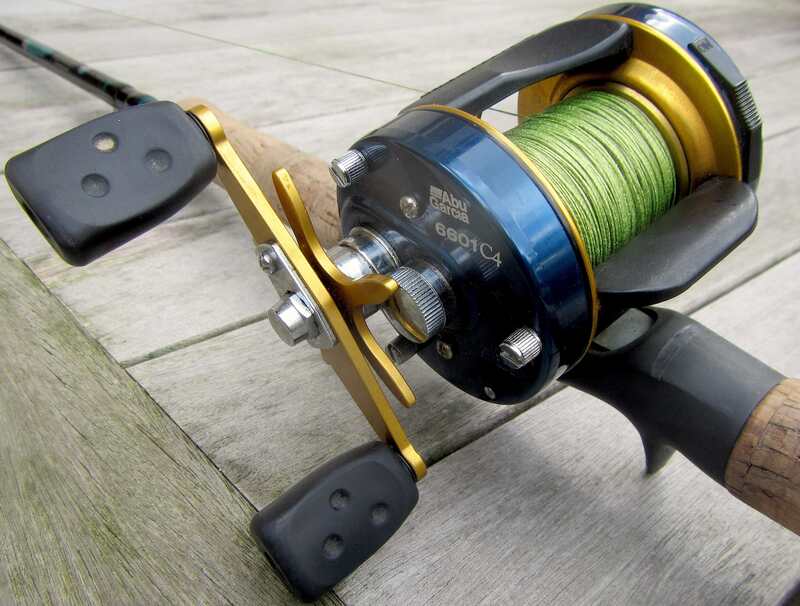 For Pike fishing, or Muskie, you want a reel with a decent drag, and the capacity to be able to fish with it all day. I got my first Abu Garcia reel when I was only 10 years old, and still fish with it, or to be more specific, it still works flawlesly! There are round reels, and low profile reels on the market. I prefer the first, for the simple reason because they are round! Any type of this reels are true workhorses, needed for my fishing. There are reels with a low gear ratio, wich reel in a smaller amount of line with each crank of the handle, and reels with a higher gear ratio, that as the name already says, reel in your lures faster. I use four Abu Garcia reels for my Pike fishing, and they have been chosen for a reason! When fishing with large bucktail spinners, such as 8 or 10” cowgirls, large spinnerbaits, heavy pulling crankbaits, I have found that you need a solid reel. Remember that you probably would find yourself casting all day long. At least that’s what I do in spring or fall. Doing so will ask alot from your material, and not having the right gear can put you in trouble. When fishing with large spinners I like to ”burn” them, wich basically means as many of you would already know, reeling them in as fast as possible, just beneath the surface of the water. This can be, no I should say it differently, this is highly effective!! Pike, and I’m sure Muskies as well, can’t resist this. There is also a downside on this type of fishing. Reeling in these heavy spinners will ask alot from your material. Not only does your reel make more windings, it’s also pushed to it’s limits. I have fished with a Abu Garcia 6501 C3 reel using this technique for a year. It went on well, but I missed that little extra torque, something I’ve found in the Abu Garcia 7001 C reel. The gear ratio of the 6501 C3 ( 5.3:1) was just a little big too high, and altough I attached a so called power handle to the reel, it still wasnt good enough. I had to put up too much tension to reel in those big suckers. So I changed to the 7001 C. This reel has a particular lower ratio (4.1:1) and is a true workhorse of a reel! The lower gear ratio means the spool of the reel makes less turns when cranking the reel handle. Something that works wonders. I absolutely love it! The reel is a little bit heavy, but that’s not much of a problem to me. What’s also important is a decent drag on a reel. I once lost a big fish due to drag failure, and safe to say you don’t want that to happen! All the round profile reels from Abu Garcia have a great drag. Now let’s make things clear, I’m not getting sponsored by them or somehing to say all of this, it’s just because I don’t fish with anything else. EsoxOnly Cruiser & Double 10. No big deal for the 7001 C!! The 6501 C3 reel I use, is installed on my St. Croix PM70HF2. The combination of a stiff rod, and a reel equipped with a power handle and a fair amount of line reel in policy, makes this a great combination as well. I often find myself fishing with jerkbaits on this rod, and they need just a little bit of extra speed. Again a round reel, and made of out solid components. If you don’t like the 7001 C, and find it too big, this one is a nice option to fish with. 5.3:1 gear ratio is one of the best sold gear ratio’s on the market. That’s not a coincidence, it’s suitable for many occasions! I also own a smaller version of the C3, wich is a 5501, and use it on smaller waters. For big waters I suggest you go for a bigger version! 5:3.1 & power handle, great combination! All of the reels above have a knob on the left side of them, wich you need to push in to cast. The rod can be hold in one hand, and the other one is used to press this little button in order to cast. Two things that need to be done. When you are looking for an all in ”one” hand solution, I’d suggest you to take a look at the C4 series of reels. The one that I own in in the same size as the 6501 C3 (1 means lefthanded) and named 6601 C4. It’s only a fraction bigger. In the middle of this real you find a knob wich you can press in, with same hand you are holding your reel in. So in fact, you need only one hand to cast. This can have some serious advantages when casting with gliders. When fishing with gliders, I often like to make fast casts after one another. Fishing with gliders, I’ve experienced that fish sometimes follow a lure first, before they grab it, so making the next cast is a piece of cake, and literally takes seconds. This reel also has another advantage because it’s a high speed gear ratio 6.3:1. This makes it ideal for fishing ”Fast” lures. A fast reel prevents you from getting slack in your line. We all know what that means when hooking a fish don’t we? Thats right, slack lines when fishing means loss of fish, and that’s something we certainly don’t want to happen. There is also a big downside on a reel like this with a fast retrieve. 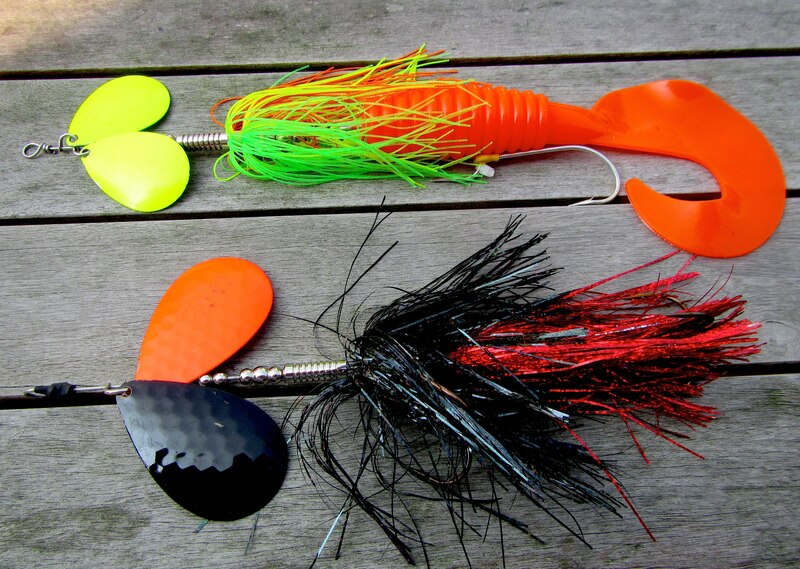 You can’t fish with spinners, reel in crankbaits or heavy swimbaits. Imagine being on a bike, and going up a mountain in high gear. There’s not enough power. That’s also the issue with these type of reels, and that’s why I always choose to fish them with jerkbaits only. The C4, where speed is needed! When it comes to using spinning reels, I prefer to fish with Shimano. These brand of reels, just like Abu Garcia, has never let me down. Spinning reels can be used in various occasions as well. Probably the main thing I like to use them for is vertical jigging for Pike. The drag feels just a bit better, and can be set very precise. 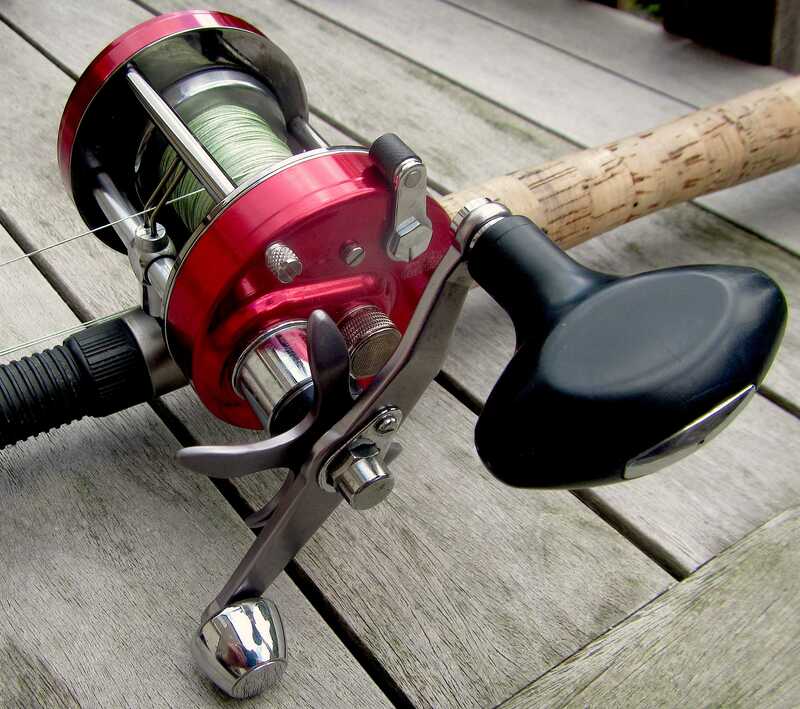 The type of reel I’m talking about here are the ”Stradic” series of Shimano. I’ve been fishing with those ever since they came out on the Dutch market, and are simply the best! One thing about a Shimano product of reels, is that the drag never fails! That’s what I like about them so much. Like mentioned earlier I use Carrot Stix for vertical jigging for pike with light jigs, and a heavier rod for bigger jigs, and fireball fishing. For those two options I grab the Stradic 2500 series of reels. Doesn’t matter wich type you’ve got, they all work great! These spinning reels are not too big, so you can easy fish with them all day long! They can even be used when you prefer a spinning rod over an baitcasting rod, but remember, that these type of reels are equipped with a high gear ratio, so they are NOT suitable for fishing with spinners or spinnerbaits. Apart from that you can’t go wrong! So if your’e looking at a proper reel for your type of fishing, you now have a little bit of a guide on what to buy or not. Remember that you better save some money for quality, than buy something cheap. In my style of fishing, cheap gear won’t last. Simple as it is. Buy quality gear, and I’m sure you won’t regret it! Stradic 2500, equipped with the best drag system ever made!